I have so many 302 error in my webmaster tool. end of every URL has problem, seems error comes from that. 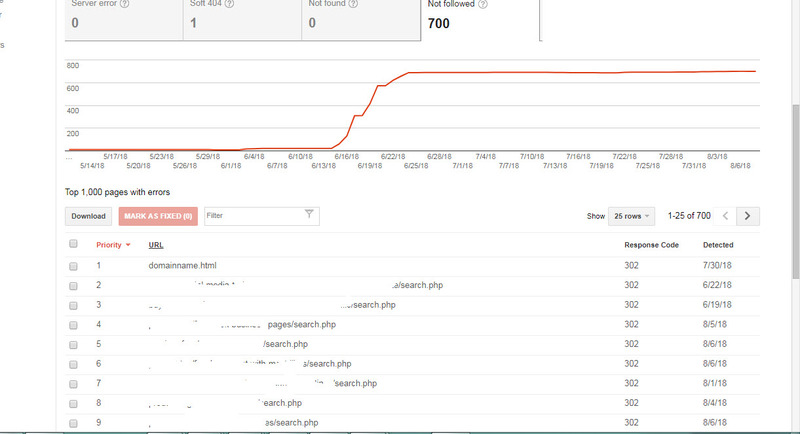 and every hour i can see more error, something forcing to add search.php to every URL in website. It's not make sense. Massive 404 attack with non existent URLs. How to prevent this?